What type of island traveller are you? You are...the family funster Do you like to travel in a pack when you vacation? Are you looking for lots of options to keep everyone happy? Does the size of the kid’s club matter more than the cocktail menu? Your perfect island: Fiji A family holiday to Fiji during the formative years is almost a rite of passage for Australian kids, and there is a reason that we keep going back time after time: it is just so totally brilliant for families. With myriad resorts to choose from across the main island of Viti Levu – in Denarau, close to the airport, and further afield on the Coral Coast – and a selection of luxe resorts on outer-lying islands, like the family-friendly eco resort Jean-Michel Cousteau, Fiji ticks all the boxes when it comes to family holidays. It is just over four hours flying time from the east coast, the locals are so gorgeously gracious and welcoming, the food is great and there are some serious kid’s clubs attached to some very affordable, all-inclusive resorts. 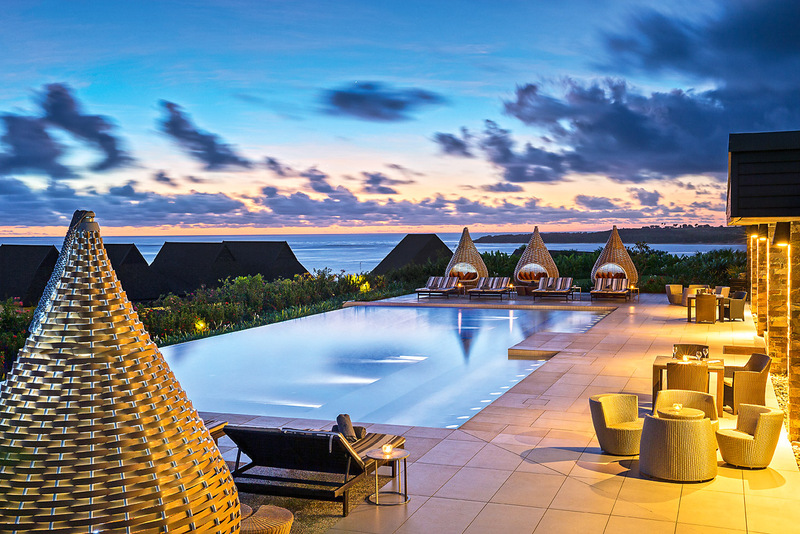 Check out the Warwick Fiji Resort & Spa, Likuliku Lagoon Resort and the InterContinental Fiji Resort and Spa. You are... the jetsetter Do you dream of flitting from one palm-fringed beach to the next with little thought of bank balances? Do you own a valid passport and a pair of oversized black sunglasses? Are you positive that if you met Beyoncé face-to-face that you would be firm friends in no time? 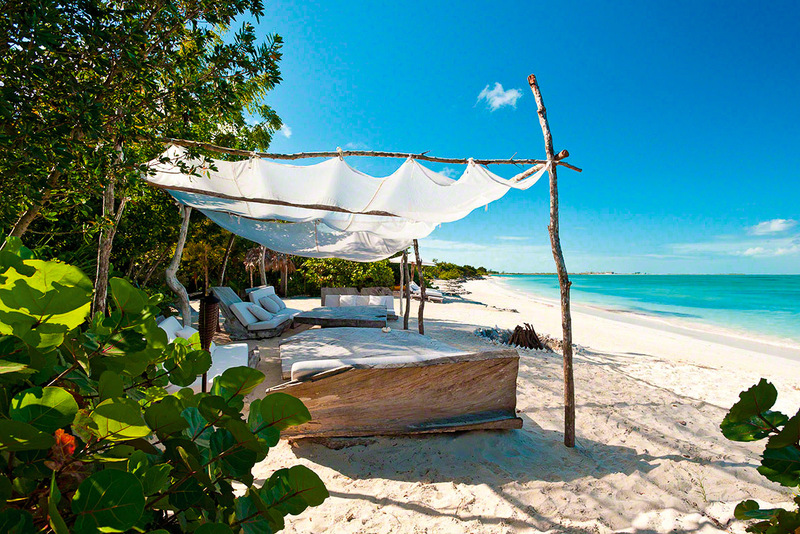 Your perfect island: Turks and Caicos So when we talk about Turks and Caicos, a British Overseas Territory in The Bahamas island chain of the Caribbean, we are really talking about Parrot Cay by COMO, a resort on a private island that is ground-zero for the beautiful people. Originally much more evocatively named as Pirate Cay, the island was developed by a Kuwaiti family before the first Gulf War and eventually came under the auspices of design hotelier Christina Ong who transformed it into the celebrity-attracting, Forbes 500-list property you see before you today. With room prices starting at just over $1000, mere mortals are also welcome; just try and play it cool if you bump into the likes of Keith Richards as you wander from the sublime spa to the picture-perfect beach. You are… the arctic islander Do you prefer snow instead of sand? Are you happier in head-to-toe Gore-Tex than a grass skirt? Do you prefer winter sun (and Northern Lights) to tropical sunsets? Your perfect island: Svalbard, Norway Midway between continental Norway and the North Pole, this frigid archipelago makes up in wildlife what it lacks in water sports. Polar bear, arctic fox, reindeer, marine mammals and myriad seabirds thrive in these parts, while the flora found here makes the most of a slightly more temperate climate than other arctic areas and the long nights of sun in the summer months. With a total population of less than 3000 people spread across the archipelago, Svalbard is an eco haven, with seven national parks and 23 nature reserves covering two-thirds of the total land. 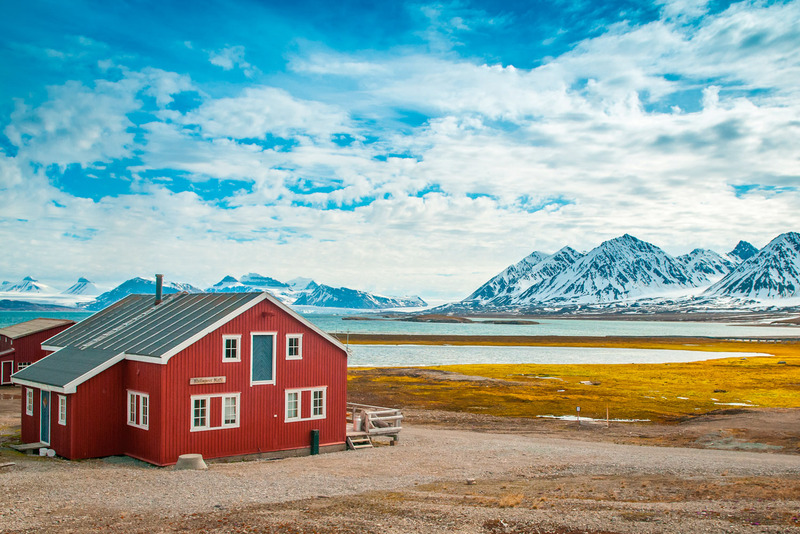 In spite of its remoteness there are actually quite a few accommodation options on the island of Spitsbergen including the totally Nordic-chic Basecamp Hotel. You are... the adventurer Do you get bored easily? Do you love a bit of action to break up beach time? Are you more into crunching gears than sipping cocktails? Your perfect island: Maui, USA While Oahu is most people’s introduction to the Hawaiian Islands, Maui is where you should be going if you want to experience the real deal Hawaii – it has been voted the best island in the world a whopping 20 times in a row by the readers of Condé Nast in America – far removed from Aloha shirts and air-conditioned shopping malls. Here you can pick the type of experience you want: romantic (the island is huge with honeymooners and loved-up couples), luxury and, of course, back-to-nature adventure. You can start slowly with a bit of snorkelling or a whale-watching expedition, but if you are craving something a little more seat-of-your-pants, toss up between a horseback ride through OMG mountain landscapes or opt for pedal power on a bike ride through Haleakala National Park, starting out above the clouds at Haleakala Crater (don’t panic, you’ll be driven there by Haleakala Bike then coasting downhill all the way. We bring you the IT island checklist to help match your particular predilections with just the right island for you. The stereotype of an island holiday is one of sand, sea and umbrella-toting cocktails. But just as islands come in myriad shapes and sizes, so too do island travellers who have different tastes and requirements. Do you love a bit of action to break up beach time? Are you more into crunching gears than sipping cocktails? While Oahu is most people’s introduction to the Hawaiian Islands, Maui is where you should be going if you want to experience the real deal Hawaii – it has been voted the best island in the world a whopping 20 times in a row by the readers of Condé Nast in America – far removed from Aloha shirts and air-conditioned shopping malls. Here you can pick the type of experience you want: romantic (the island is huge with honeymooners and loved-up couples), luxury and, of course, back-to-nature adventure. You can start slowly with a bit of snorkelling or a whale-watching expedition, but if you are craving something a little more seat-of-your-pants, toss up between a horseback ride through OMG mountain landscapes (mauihorse.com) or opt for pedal power on a bike ride through Haleakala National Park, starting out above the clouds at Haleakala Crater (don’t panic, you’ll be driven there by Haleakala Bike Co. bikemaui.com) then coasting downhill all the way. Do you like to travel in a pack when you vacation? Are you looking for lots of options to keep everyone happy? Does the size of the kid’s club matter more than the cocktail menu? A family holiday to Fiji during the formative years is almost a rite of passage for Australian kids, and there is a reason that we keep going back time after time: it is just so totally brilliant for families. With myriad resorts to choose from across the main island of Viti Levu – in Denarau, close to the airport, and further afield on the Coral Coast – and a selection of luxe resorts on outer-lying islands, like the family-friendly eco resort Jean-Michel Cousteau (fijiresort.com), Fiji ticks all the boxes when it comes to family holidays. It is just over four hours flying time from the east coast, the locals are so gorgeously gracious and welcoming, the food is great and there are some serious kid’s clubs attached to some very affordable, all-inclusive resorts. 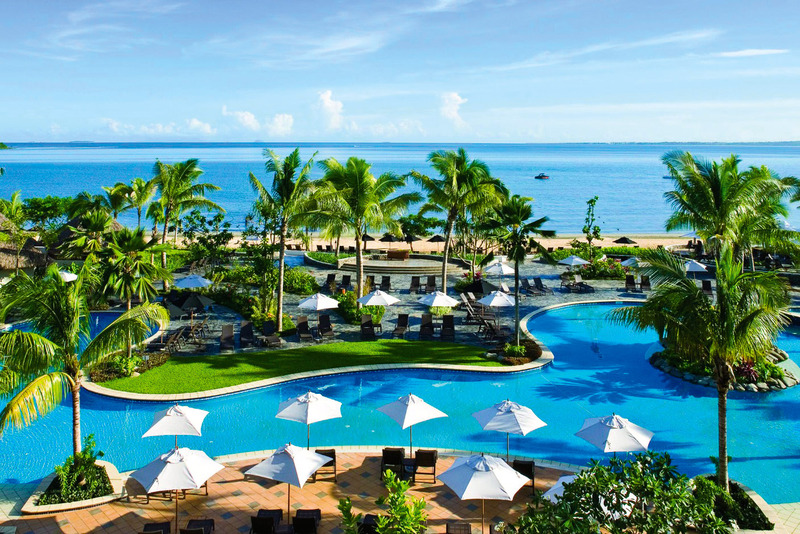 Check out the Warwick Fiji Resort & Spa (warwickhotels.com), Likuliku Lagoon Resort (likulikulagoon.com) and the InterContinental Fiji Resort and Spa (fiji.intercontinental.com). Do you get anxious at the thought of zero mobile reception? Do you prefer the sound of car horns to crashing waves? Is your ultimate holiday souvenir a Prada handbag rather than a sarong? When is an island holiday actually a city break? When it takes place on an island city. Ta dah, Hong Kong Island! 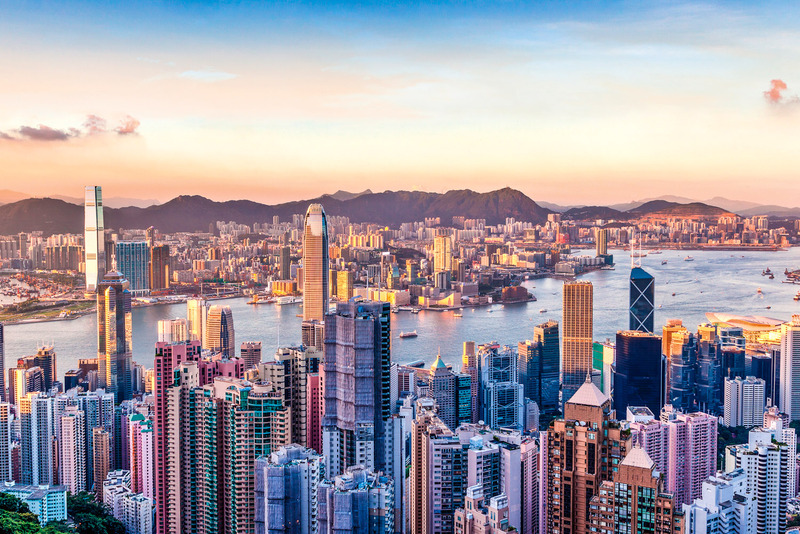 Of course there’s so much more to do on ‘the island side’, as it is referred to locally, than just shopping: you can ride the tram to The Peak, watch the gee gees at Happy Valley Racecourse and take a junk ride around Victoria Harbour. And when you’re finished with all that, then you can go shopping! Do you dream of flitting from one palm-fringed beach to the next with little thought of bank balances? Do you own a valid passport and a pair of oversized black sunglasses? Are you positive that if you met Beyoncé face-to-face that you would be firm friends in no time? So when we talk about Turks and Caicos, a British Overseas Territory in The Bahamas island chain of the Caribbean, we are really talking about Parrot Cay by COMO, a resort on a private island that is ground-zero for the beautiful people. Originally much more evocatively named as Pirate Cay, the island was developed by a Kuwaiti family before the first Gulf War and eventually came under the auspices of design hotelier Christina Ong who transformed it into the celebrity-attracting, Forbes 500-list property you see before you today. With room prices starting at just over $1000, mere mortals are also welcome; just try and play it cool if you bump into the likes of Keith Richards as you wander from the sublime spa to the picture-perfect beach. Do you prefer snow instead of sand? Are you happier in head-to-toe Gore-Tex than a grass skirt? Do you prefer winter sun (and Northern Lights) to tropical sunsets? Midway between continental Norway and the North Pole, this frigid archipelago makes up in wildlife what it lacks in water sports. Polar bear, arctic fox, reindeer, marine mammals and myriad seabirds thrive in these parts, while the flora found here makes the most of a slightly more temperate climate than other arctic areas and the long nights of sun in the summer months. With a total population of less than 3000 people spread across the archipelago, Svalbard is an eco haven, with seven national parks and 23 nature reserves covering two-thirds of the total land. In spite of its remoteness there are actually quite a few accommodation options on the island of Spitsbergen including the totally Nordic-chic Basecamp Hotel (basecampspitsbergen.com). Do you avoid the beach at all costs? Are you more interested in scenery than sunbathing? Do you like nothing more than a good road trip? Technically you get two islands for the price of one with our neighbour to the east, but both are equally jam-packed with things to do and scenery to see. A road trip here is an absolute delight, namely because the roads are so quiet – the stereotype about there being more sheep in these parts than people is easy to believe driving over high mountain passes, ducking in and out of wispy cloud, and not seeing another car or human being for ages. Along the way, towns of varying sizes pop up regularly, providing respite from the relentless gorgeousness of the wide open vistas and a little soft adventure if you are in the mood. 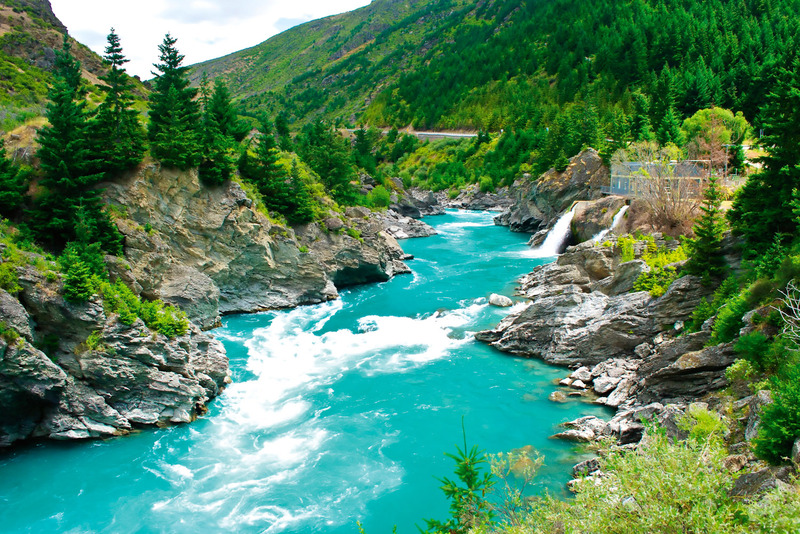 New Zealanders are very outdoorsy people so you can choose from pursuits like bike riding, hiking, segwaying, zorbing or the slightly more hair-raising bungee jumping (ajhackett.co.nz) or jet boating (shotoverjet.com). 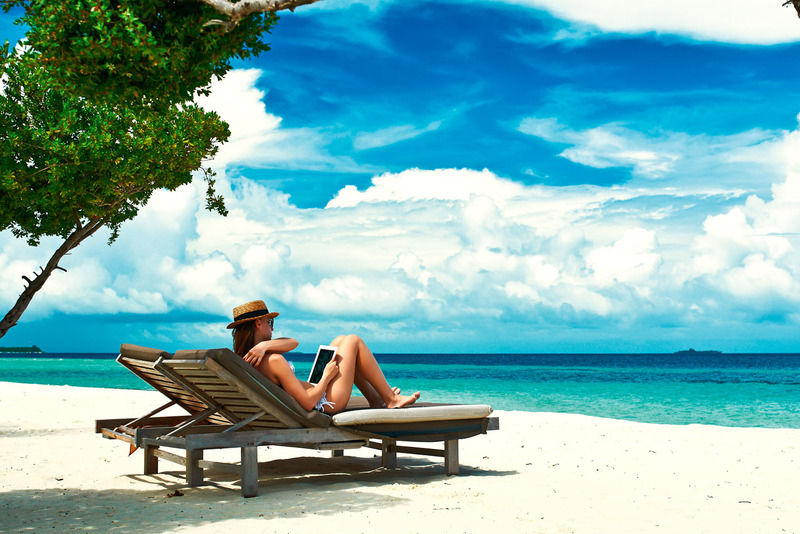 Do you crave doing absolutely nothing when on holidays? Do you love an endless vista of open seas and endless skies? Do you like being waited on hand and foot? So, you like nothing better than laying on a caster sugar beach wondering what the worker bees everywhere else in the world are doing? Well, the Maldives is the perfect island for you because there is endless reclining to be done here. Consisting of a chain of 26 atolls, the Republic of Maldives, as it is officially known, stretches through the Indian Ocean and Arabian Sea and has become shorthand for island paradise, with a roll call of insanely luxurious resorts, all gently jostling with each other to be the absolute best. What does the daily routine look like in these parts? A lot of laying around, followed by some eating and drinking, with a languid dip in pristine waters, followed by a lot more doing nothing. Are you a member of Generation Y? Do you think absolutely everything is, like, so 2014? Are you sure that in the age of Twitter and Instagram and Facebook and Pinterest and Snapchat that nothing could possibly surprise you any more? According to the website for this tropical paradise, the Philippines has exactly 7107 islands, and yet Dedon has to be one of the most unique of them all: a resort set up as an experimental playground for German design company Dedon, where they could install their gorgeous outdoor furniture and test out the eco-principles they have been developing for two decades. It’s impossible to be jaded by design and architecture this good, with Dedon’s luxe European furniture contrasted against nine pavilions made from local materials and using traditional craftsmanship. The resort is located on the island of Siargao and sandwiched between dense, lush mangroves and the clear waters of the Pacific Ocean, close to the famous Philippine Deep and the surfing breaks of Cloud 9, and has a barefoot luxury approach that is completely compelling. Do you prefer riding waves to looking at them from a sun lounge? Do you regularly use words like narly and dude in normal conversation? Do you desperately want a reason to buy a Chanel surfboard? 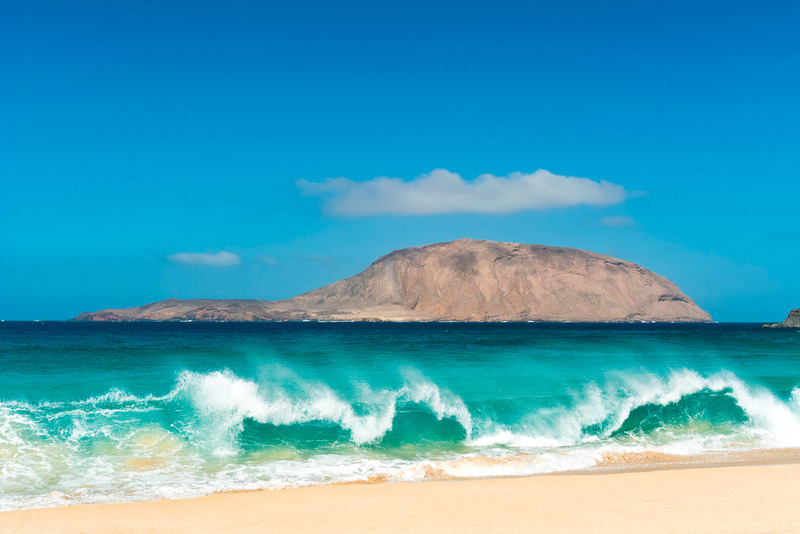 Part of the Canary Islands, Lanzarote has apparently been dubbed the Hawaii of Europe due to its pounding waves that swell from the north Atlantic Ocean. 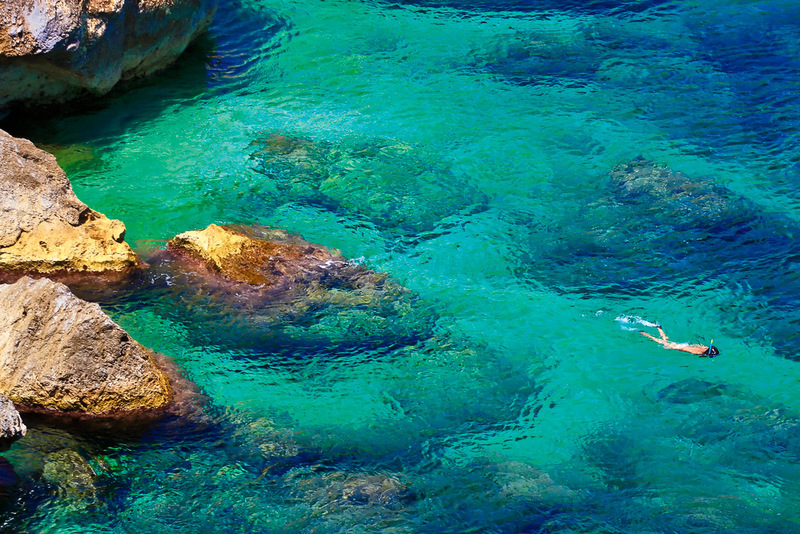 Closer to Africa than Mainland Spain (100 kilometres versus 1000 kilometres), the otherwordly volcanic island has a year-round temperate climate, and with a population of just over 140,000 there’s lots of room to let loose on the perfect break. Most of the best surf beaches are on the north west coast including Famara and La Santa, or The Slab as it is known. If that sounds a little intimidating and you think you might need to polish up on your skills, try booking a few lessons at Surf School Lanzarote (surfschoollanzarote.com) or Lanzasurf (lanzasurf.com). As for accommodation, there are endless holiday apartments to rent for the duration; we like the look of Eco Lodge Famara (airbnb.com.au/rooms/863817) for its stunning remoteness and spectacular views.